Effective distribution depends heavily on accessibility – in other words, reaching listeners means making sure your podcast can be easily found. Once listeners have downloaded your app – and Mobile Apps are generally easy to find in both the App Store and Google Play; it’s a matter of simply searching your podcast’s title – they’ll have all of your podcast’s episodes at the ready, plus they’ll be notified as soon as you’ve published something new or are streaming live. There’s no wading through other shows’ content, or missing last week’s episodes too far down the queue. Furthermore, they can like and leave comments on your episodes as well as chat with you as you stream live; your communication is always direct and personal. You’re offering your listeners an exclusive experience reserved just for them. Mobile Apps are also wonderful ways to pump up your brand. Having a well-made product, like an app created in-house, looks professional and makes a great impression on new listeners (and potential sponsors, too). Since you can customize it yourself with your own images and metadata, your brand comes through crystal clear throughout its entire interface. - How can you create your own? The key to Mobile Apps is customization – the look and branding are up to you, just complete the template provided. Apart from the app’s title and description, you can upload your choice of images as the default image, app icon, app store icon, splash screen feature image, and more, depending on whether you’re working on an iOS or Android app. The template can be saved as a draft, so you can always come back to work on it later. Once you’ve added all the details required and your draft is complete, hand the app off to Spreaker’s team by clicking on SUBMIT. - Spreaker’s team will take care of the rest from this point. We’ll build the app and then submit it to the store it needs to be in. Once it gets approved, we’ll make sure it always stays up-to-date with any system updates that may come up, and you can just sit back and record your next new episode, or, you know, relax. We’ll build the app, but instead of submitting it, we’ll hand it back to you. It will be up to you to submit it on your own (though you must have a Developer account with the App Store or Google Play to do this), and then maintain it while it’s available in the store. While this might not be a viable or appealing solution to everyone, submitting your own app does have it’s own advantages, like the ability to charge per download, so it’s something to consider. Distribution, engagement, and branding are essential to the success of your podcast, and a customized Mobile App dedicated to your show takes care of them all. It’s carefree accessibility that you can provide your listeners, and keeps you closest to them. Podcasting has also landed on new content landscapes in the past two years, becoming a medium that content marketers can turn to when it comes to building relationships with potential clients. Marketers and consultants – the entire marketing sector, even – have started using this “new” tool as another way to stay in touch with the communities that follow them. One of the most interesting things I’ve noticed in the last months is the use of podcasting as a main platform in content marketing strategies. Why should you start podcasting if you’re a content marketer? - Listening to podcasts can be easy activity that you can do whether you’re sitting on a bus, running, cooking, or doing anything else. You don’t need to interrupt your flow to focus on text, like you do when you’re reading a blog post or watching a video. Audio consumption is much easier and offers you a great chance to be listened to during those moments of the day when no other competitors can get in your way. Podcasts can be fairly easy to produce, especially when compared to videos. You don’t need to turn off the lights and put on your best dress; no makeup is required, and you can record even while wearing your pajamas in a messy room. Your audience won’t know or care. A podcast placed on your blog gives a different touch to a mostly text-based content strategy. Adding a nice embedded player with a powerful image and a strategically displayed playlist can enrich your blog’s message, as well as help you establish a closer relationship with your readers and a new audience: listeners. Don’t underestimate the power of your voice. When you talk to your consumers, clients, or potential partners, your voice makes the difference; you’re perceived as an actual person, rather than a voicemail or an automated menu. First impressions really do count, and if you’re creating a podcast series for your content strategy, you have more than one chance to persuade and convince your listeners. They have to press play on your content first, it’s true, but seeing as the audience is “on-demand,” you’ll reach those who really do want to be reached. Content marketers know very well how difficult it is to schedule a written interview with an influencers who can share his case history and create value on the blog. Long flows of emails back and forth are time consuming and frustrating, but scheduling a 15 minute call for a podcast episode solves the issue. You can book a short slot with your guest to record the call, and with just a few minutes of post-production, can have a ready-to-use episode to embed in your blog. And for the text lovers out there that think nothing is better than the written word, you can always easily transcribe your podcast content. There are plenty of services out there that offer tools that can manage this process quickly and get you SEO-ready. 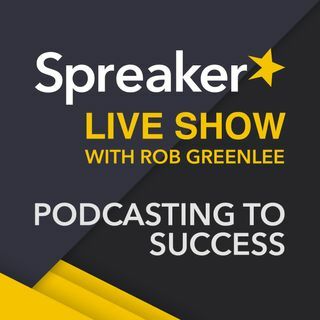 Is there a way to see what podcast shows are native to Spreaker while listening in the Spreaker app? I do my show 2X a week, unscripted and unedited, and while I'm driving my car during my commute to and from work. I bet there aren't too many or any shows doing THAT! We pre-record because there is a lot of production that goes into our comedy segments and even music shows. We have regularly scheduled times that they air, so we are sort of like audio television.